"The greatest Scam in political history," he tweeted in his latest effort to portray the probe into his Russia links as a secret attempt to bring down his presidency. 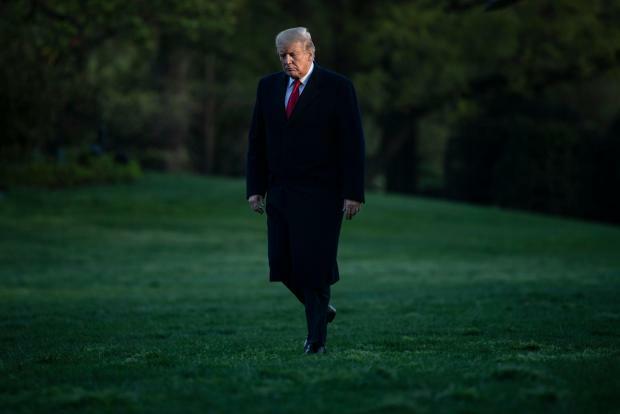 "If the Mainstream Media were honest, which they are not, this story would be bigger and more important than Watergate," Trump tweeted, referring to the 1970s political scandal that brought down president Richard Nixon. Special counsel Robert Mueller's two-year investigation focused on the extent of Russia's attempt to manipulate the election - and whether Trump's campaign colluded with Moscow to gain advantage over rival Hillary Clinton. A brief preview of the findings released by Trump's attorney general, William Barr, showed he had been cleared of collusion. Barr's summary also declared that Trump had not attempted to obstruct the Mueller probe, even if Mueller himself was quoted as saying he was on the fence and could not "exonerate" the president on this. Thursday, the actual Mueller report - although with many portions expected to be covered up for legal or security reasons - will be made public. Despite claiming repeatedly to have already been fully vindicated, Trump is increasingly combative ahead of the release. "No Collusion - No Obstruction!" he said in another early Tuesday tweet after calling on his nearly 60 million Twitter followers to read a column by conservative writer Andy McCarthy that attacked the Mueller probe in the New York Post. "A must read," he said. According to Trump, court-approved surveillance of his campaign's links to Russians amounted to "spying." He has even called the probe treason and indicated he would like to see criminal charges brought against his investigators.